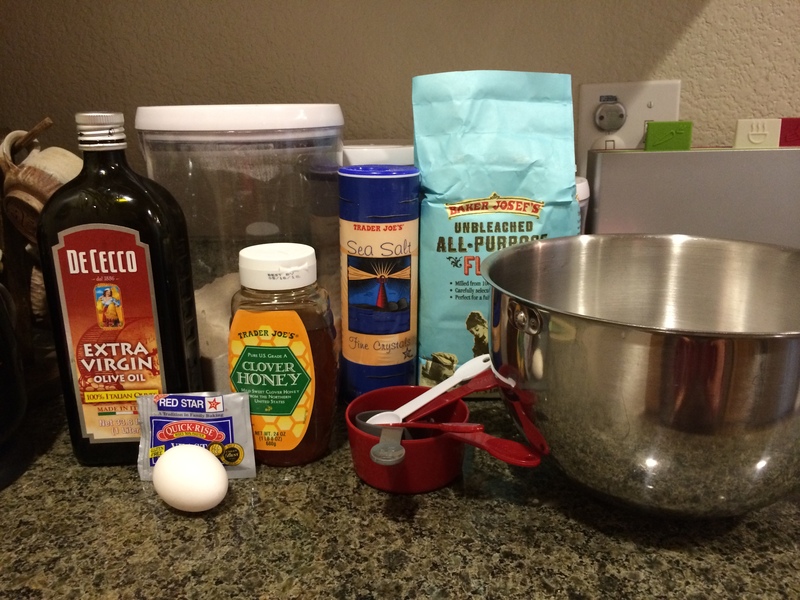 In a large mixing bowl, sprinkle yeast over barely warm water. Add honey, oil, 1 egg, and salt. Add the flour one cup at a time, using the kitchen aid at medium speed. Knead until it become a smooth and elastic dough but no longer sticky. 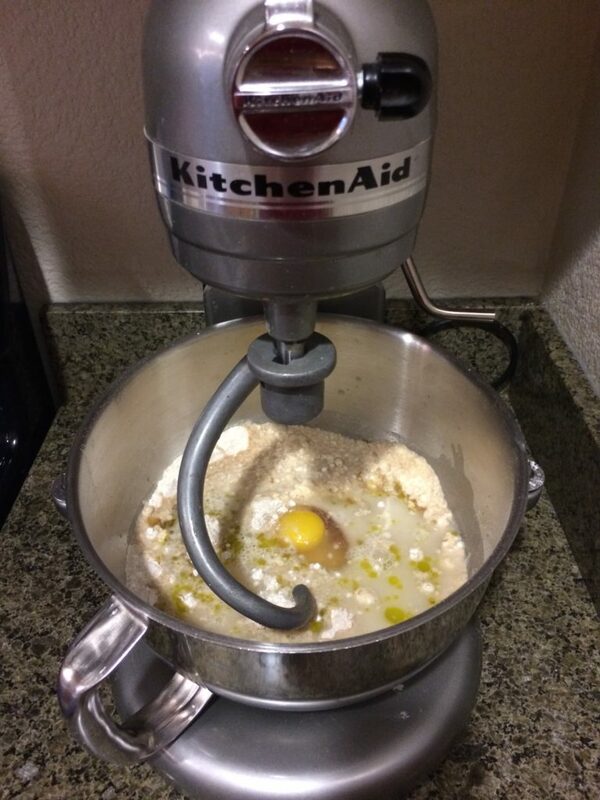 It will take around 15′ using the Kitchen Aid Mixer. Cover the bowl with a cloth. Let the dough rest at room temperature for 1.30 hours. 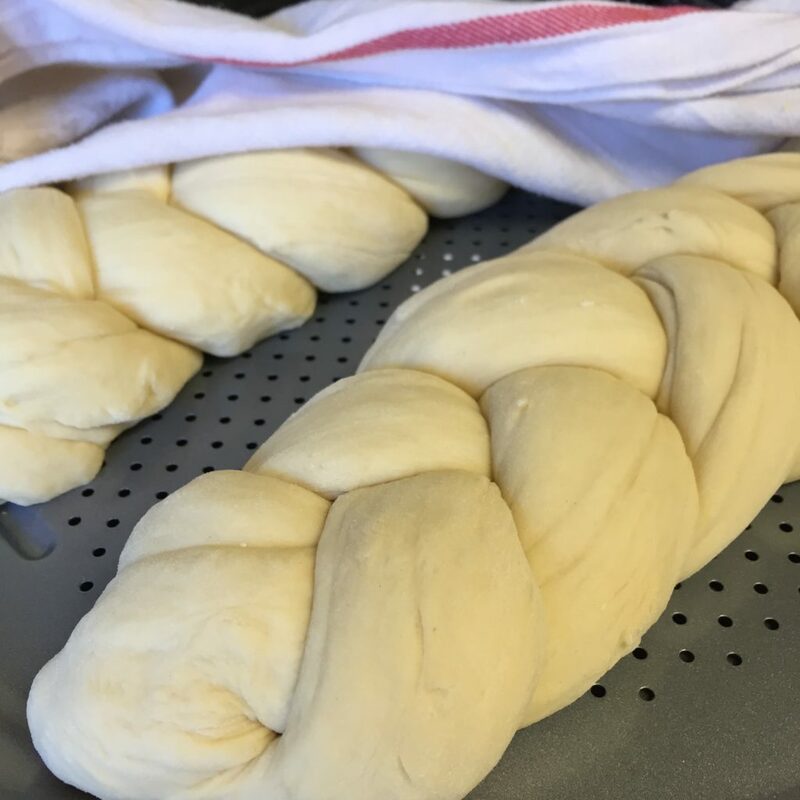 Separate the dough in 3 pieces, flatten a little bit and make a braid. 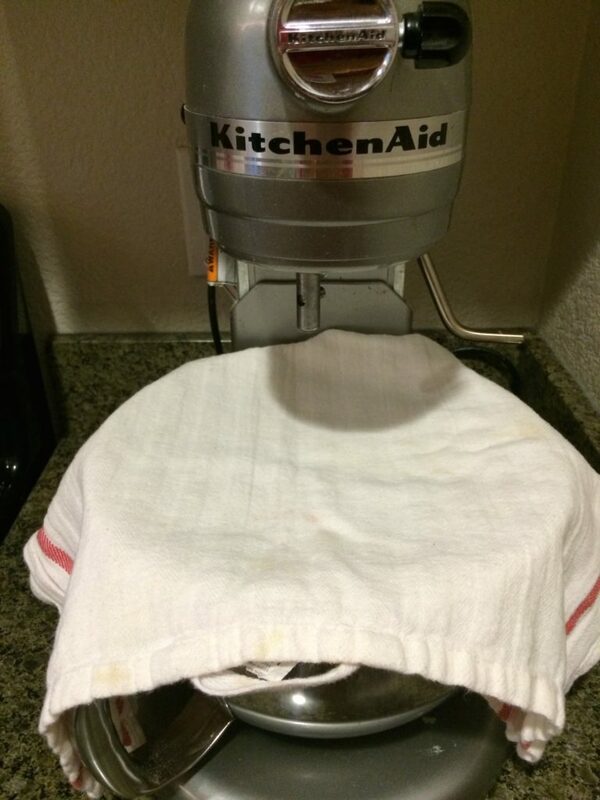 Cover the dough with a clean cloth and let it rest for 45′ more minutes. After the resting time, you can either use a slightly beaten egg to brush it or just sprinkle the sesame seeds. 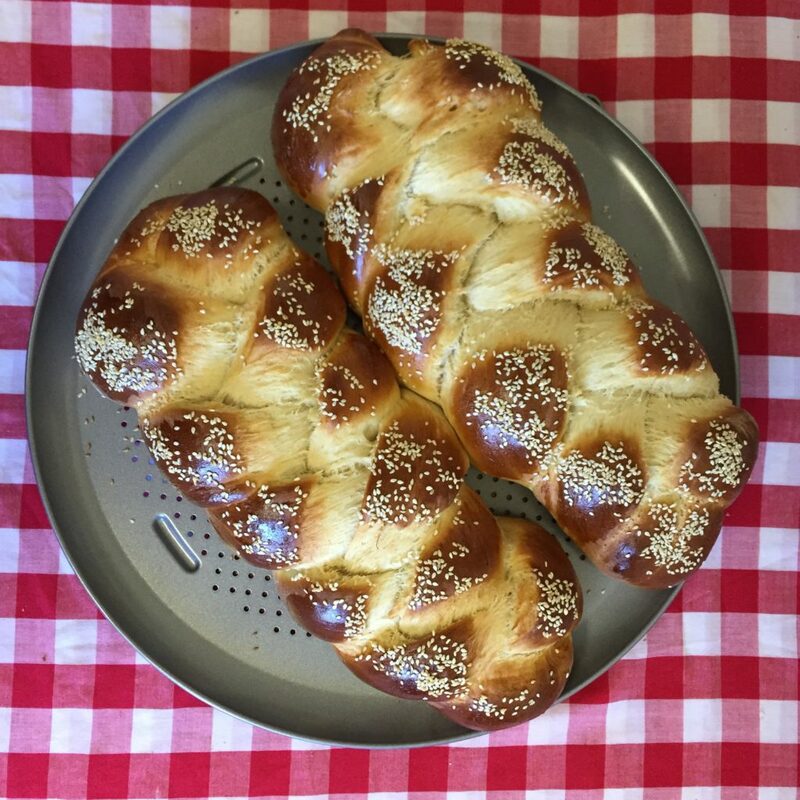 Bake it at 350F for 30′ minutes or until the bread is golden brown. Remove it from the oven and let it cool. 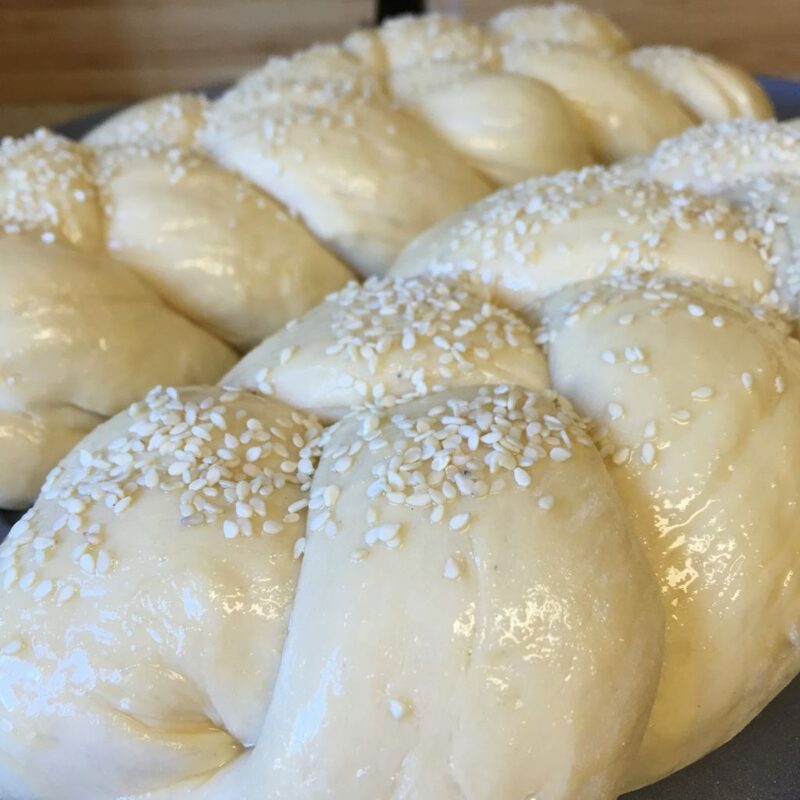 The result is impressive and delicious!